I have fond memories of visiting my grandparents in Lancashire, and can still picture the battered old biscuit tin my grandmother kept her shortbread in. When you prized off the lid with the flowers painted on it, inside were these delicious shortbread wedges, crisp, buttery and lightly sprinkled in a dusting of sugar. Today, whenever I make this recipe I am transported right back to my grandparents' kitchen with the yellow painted walls and the scratched up biscuit tin sitting on the table. There is always a fire burning in my memory and Bozer, the old boxer dog lying on the hearthrug in front of it. This recipe is actually very simple. Use the best ingredients you can. It’s all about the butter! 1. Mix all the ingredients together in a food processor and pinch off a taste of the dough to make sure it’s delicious. 2. Divide the mixture into two balls and on a baking sheet, pat each ball into a flat round about 7 - 7 1/2 inches in diameter and about 1/3 inch thick. Score into wedges and poke all over with a fork to make the traditional shortbread design. 3. Bake for about 35- 40 minutes, until pale golden. When the shortbread comes out of the oven cut right through along the score lines and cool in pan on a wire rack. The shortbread will crisp as it cools. 4. Sprinkle sugar over the bars and store in an airtight container at room temperature. This is one of my favorite teatime treats. I love to make it in the summer, and eat large slices in the garden, sitting on the lawn under our maple tree. 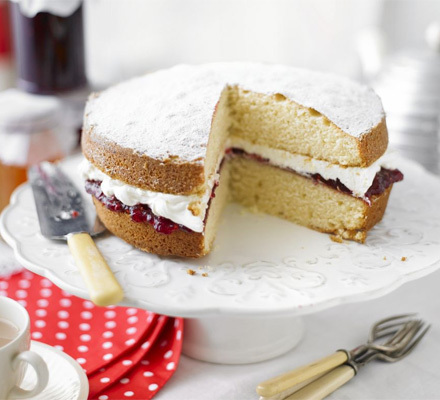 Nothing beats this soft, buttery vanilla cake filled with raspberry jam and whipped cream. It is an English classic and the one my daughter always requests when I ask her what she'd like me to bake for Sunday tea! Butter 2 8-inch cake pans. Place all ingredients in a food processor and cream together. Or using a standing or hand held mixer, cream the butter and sugar. Add the eggs one at a time, beating well after each addition. Mix in vanilla and milk and then blend in the flour and salt, being careful not to over-mix. Divide the batter between the cake pans and bake in the middle of the oven for about 25 minutes, until light golden and spongy to touch. Cool tins on wire rack for ten minutes, and then turn out and cool cakes completely. Sandwich cake layers together with raspberry jam and whipped cream. For an extra special touch sprinkle some fresh raspberries over the jam. I like to dust the top with confectioners sugar for a pretty touch! Poppy makes these brownies at her bakery. She was given the recipe by P.C. 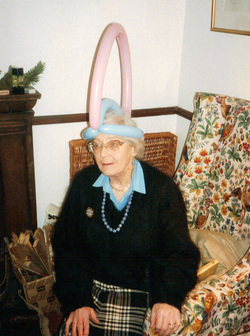 Plunket’s mother. One taste and Poppy was smitten. These are the easiest brownies in the world to make, and the most delicious. 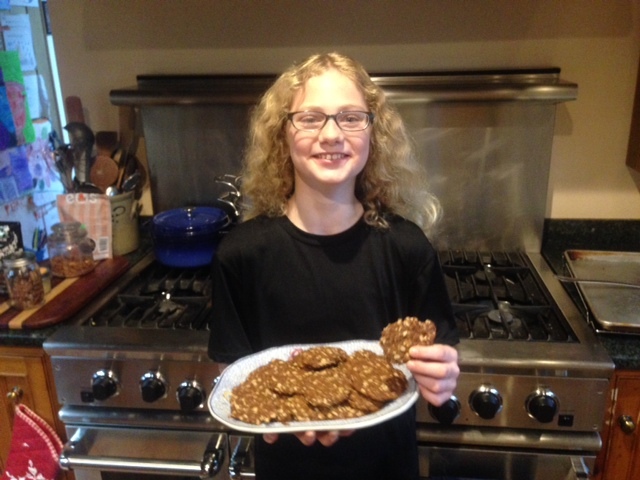 Like Mrs. Plunket, Poppy only makes them on rainy days, and they are a favorite with all the villagers of Potts Bottom, especially the Ruthersfield girls. The ingredients listed below make enough for an 8 by 8 pan but Mrs. Plunket always doubles the recipe to fill a 9 by 13 pan. If you like brownies this is an excellent idea! P. C. Plunket has been known to polish off an entire batch in one evening. Put the butter and chocolate into a bowl and melt together in the microwave. This will probably take about 1½ minutes. If you don’t have a microwave, balance the bowl on top of a saucepan of simmering water to melt. Ask an adult to help you with this. Once the chocolate and butter have melted, stir them together to blend. A wire whisk works well for this or a big wooden spoon. Then add the rest of the ingredients, one at a time, cracking the eggs in last. Mix everything together well. Scrape the mixture into a greased 8 by 8 square pan. Rubber spatulas are great for this. Cook for about 25 - 35 minutes. Check after 25 minutes. You do not want to overcook these. A little squidge in the middle is a good thing. If you like your brownies cakey keep them in a little longer. You might want to ask an adult to help you take the pan out of the oven. Let the brownies cool in the pan on a wire rack and try not to burn your mouth in your eagerness to eat these! This is the perfect recipe for a gloomy November afternoon when you want something homey and comforting to eat in front of the fire. Dump the flour and salt into a large bowl. In a saucepan melt the butter, and then stir in the sugar, golden syrup, molasses and ginger. Pour the butter mixture into the flour, along with the milk, eggs, and baking soda mixture. Mix well. The batter will be very liquid – don’t worry! That’s how it’s meant to be. Pour into a greased and lined 12 by 8 inch pan. Bake for ¾ - 1 hour until spongy. You do not want to overcook this. A little stickiness in the middle is just fine. Cool on a wire track. Cut yourself a large slice and enjoy it fresh from the oven with a nice cup of tea! These are the easiest biscuits (cookies) in the world to make. My sister gave me the recipe and they are just the sort of thing our grandmother would have made. There is a lovely old fashioned quality about them, full of oats and brown sugar, the sort of thing that makes a house feel like a home. The best part is they require very little effort, just some gentle melting and stirring, so this is an extremely kid friendly recipe! Add oat mixture to melted butter mixture and stir around to blend. Roll the mixture into little balls (I get sixteen cookies out of this) and put on a baking sheet. Flatten slightly with your hand. Bake at 350 degrees for 15 minutes, and cool on a wire rack. One bite will transport you back to your grandmother's house! This is one of my favorite tea time recipes. 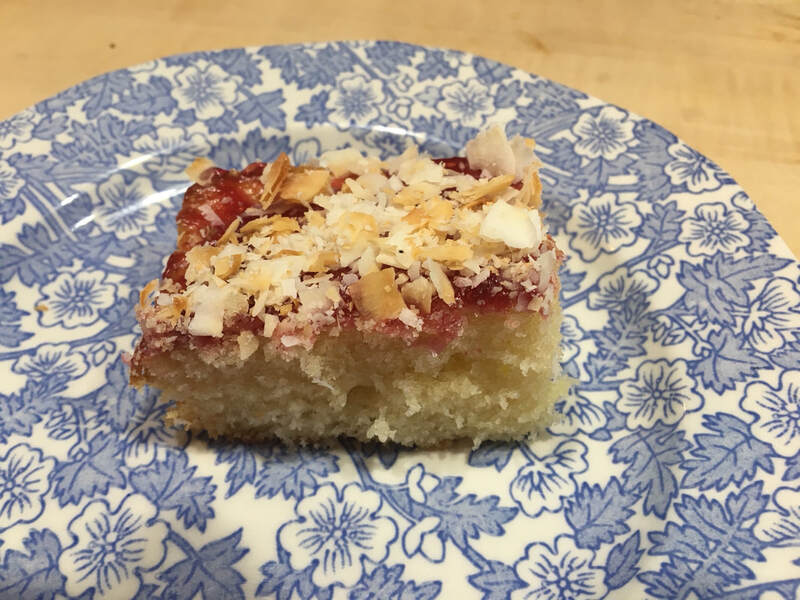 It's a moist, light cake covered with a thin layer of raspberry jam and toasted coconut - what's not to love! This cake is so good I guarantee you won't be able to stop at just one piece. 1 cup of dried coconut flakes, either sweetened or unsweetened. I like unsweetened. Toast coconut in a little dish in 35o degree oven for about 12 minutes until lightly golden. In a food processor or using an electric mixer, beat butter and sugar together until light and fluffy. Add eggs one at a time and mix until blended. Add vanilla and milk. Sift the baking powder and salt with the flour and add this to the mixture. Blend quickly until smooth. Transfer mixture to pan and cook for around 30 minutes until golden and springy to touch. Remove from oven and spread with raspberry jam. Sprinkle with toasted coconut and drive right in. Delicious with a big cup of tea! !